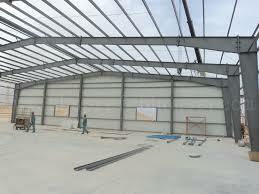 Steel prefabricated workshops are the new trend. The trend of prefabricates workshop has increased in the past year in US, Europe and some Asian countries. 3. How you will use your workshop? Utilizing overhead space such as ceiling or high wall shelving are great for getting things not in use off the floor and stored away. Rubber bins are affordable and can be found almost anywhere. Rubber bins won’t rot, rust or leak, protecting the contents within. Shelves and cabinets are a must. Maximizing vertical wall space using shelves and cabinets provides additional storage and, in most cases, a secondary work space. These can be built or purchased. Don’t forget about pegboards. Depending on the material, they can hold virtually anything you throw at them. Great for quick access to your most used tools, hanging your gardening items such as rakes and shovels and a wide variety of other items. Tool Storage saves valuable time by organizing your tool chest, boxes and carts. Add foam, and you have a topnotch tool storage system. Last but not least, seek the advice of experts. Hiring a contractor to do the installation for you will also a good idea to save you lots of time.